Since founding Formation Media with David in 2006, I’ve had the joy of seeing the enterprise move from strength to strength. The team and our collective expertise have continued to grow to the point where we now employ nearly twenty skilled individuals, all dedicated to specific and developed roles. We have moved offices three times due to an ever-expanding team, continued to grow our client base with new and prestigious names in business and won numerous awards for our efforts along the way – most recently being nominated for Team of The Year by First Pro. Most recently, we have been able to establish a fully-fledged PR department headed by our very own Lisa Voss, allowing us to now offer a tailored service for our clients. In addition to this we have also been able to expand the team with two new copywriters, Sabrina and Scott. With these new additions, we are able to increase our copy output for our clients, which is a vital subsection of our marketing efforts. Not only can we increase our copy output but also offer more bespoke services to service our client’s needs. As our client base continues to grow and our list of achievements along with it, we are able to continue to expand and develop alongside in order to cope with our increasing demand. We have always prided ourselves on our customer centric mindset and approach, with the customer’s needs forming the basis of everything we do. I am incredibly proud of the team’s performance and excited to see where this new growth takes Formation next. 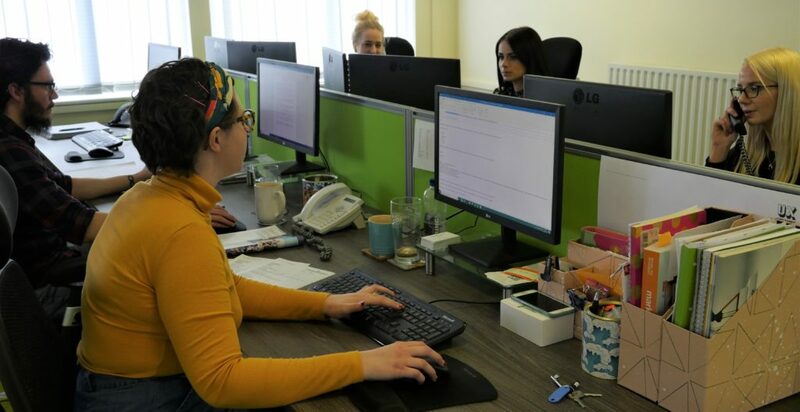 Complimenting our expansion, our existing web-development team have only grown in expertise and are able to offer better more bespoke services all the time. Our state-of-the-art studio is feeling fuller and busier all the time and we’re loving it. We relish the opportunity for new challenges and new ways to innovate and look forward to continued growth.